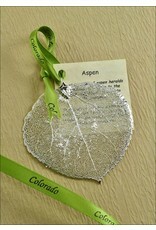 An Aspen leaf dipped in silver. 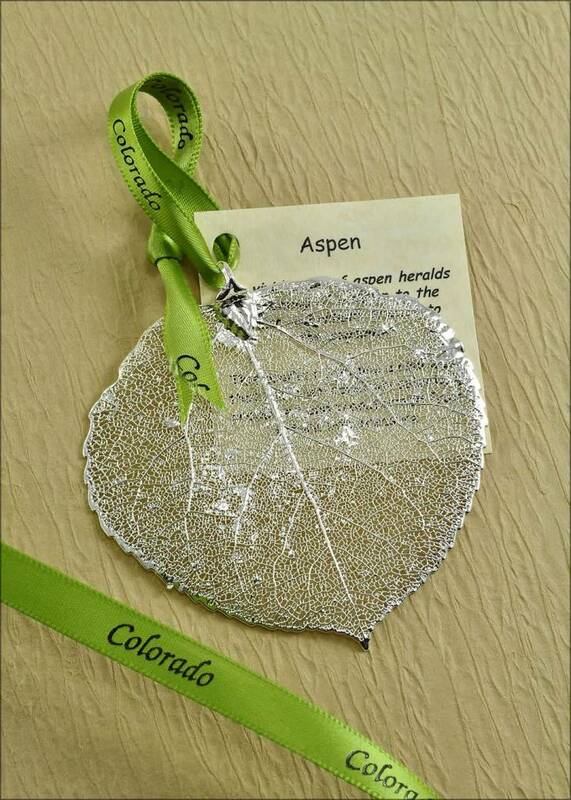 This unique ornament is a great addition to any nature lover's tree. Real leaves, hand-picked, carefully selected, sized and preserved through a delicate process. Artisans protect the leave's natural shape and color by coating them with lacquer or dipping them in copper to keep their natural veins visible. They are then dipped in 24 karat gold and silver. This step by step procedure usually takes at least seven days of creative processing from start to finish. 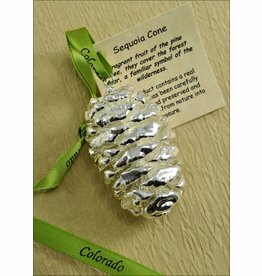 Real Sequoia pinecone dipped in silver.